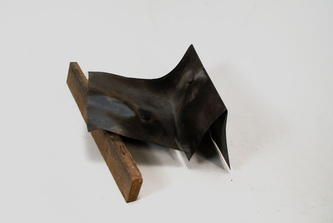 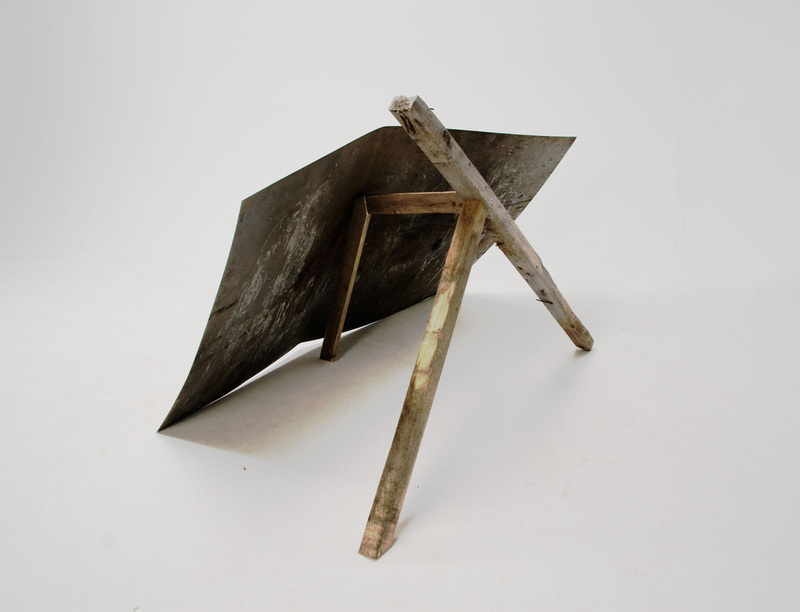 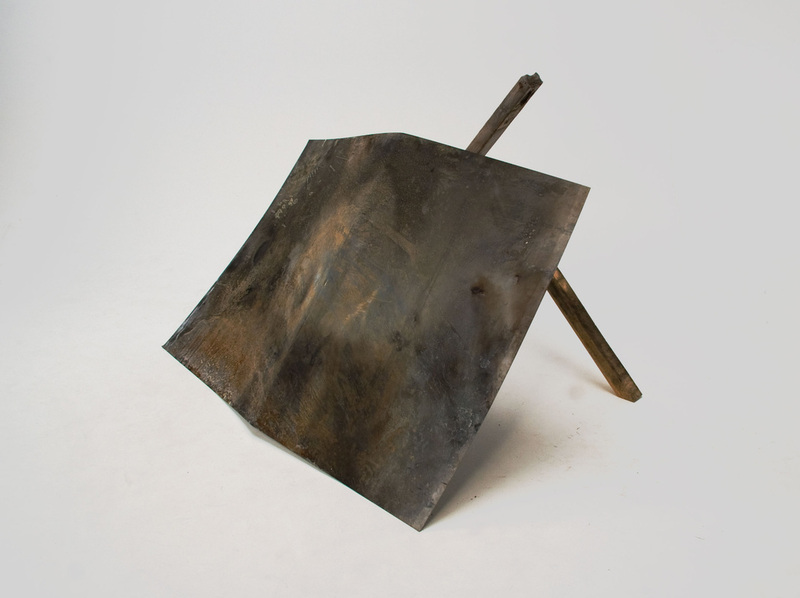 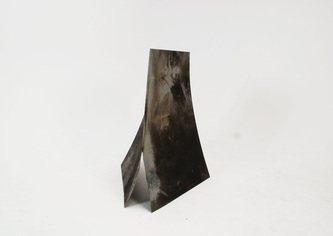 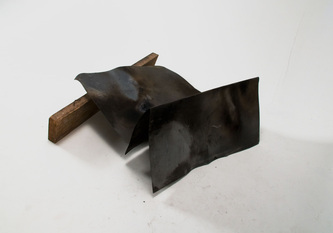 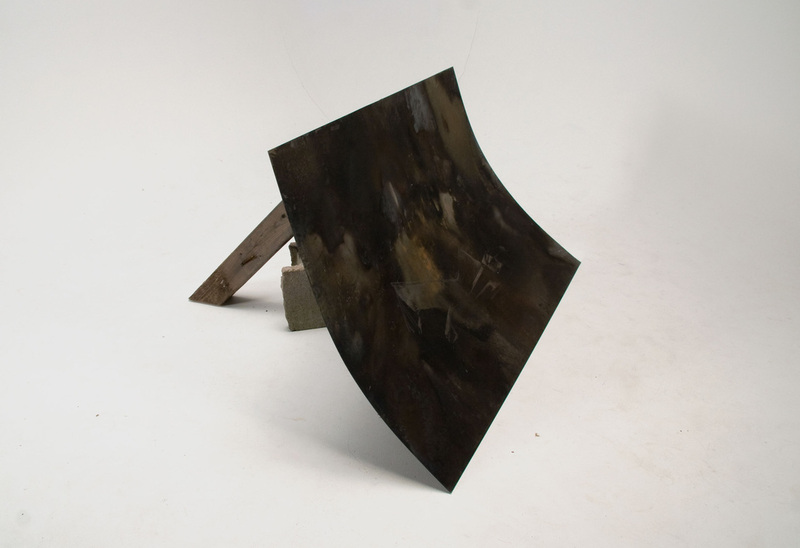 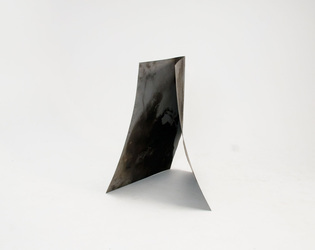 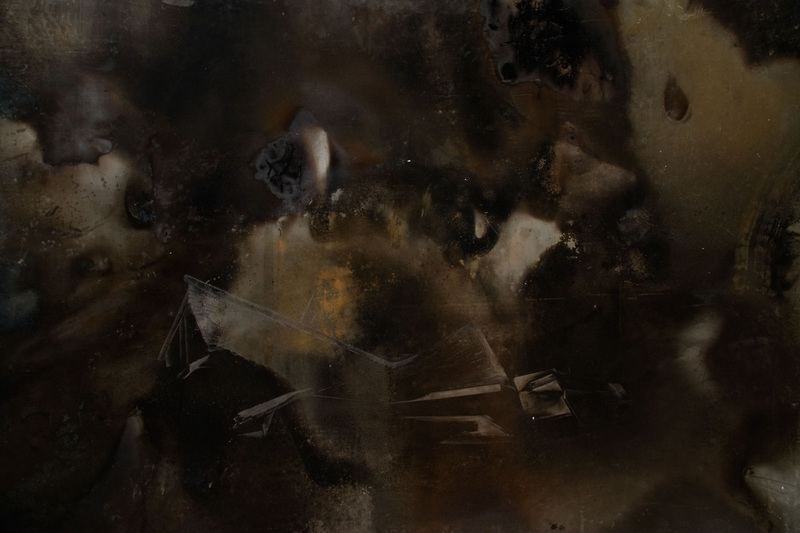 Neighbourhood in Ruin is a collection of five burnt steel sheets depicting abandoned homes from Detroit, Michigan. Each piece has gone through the process of burning, cutting and bending mimicking the destruction of the Detroit homes. 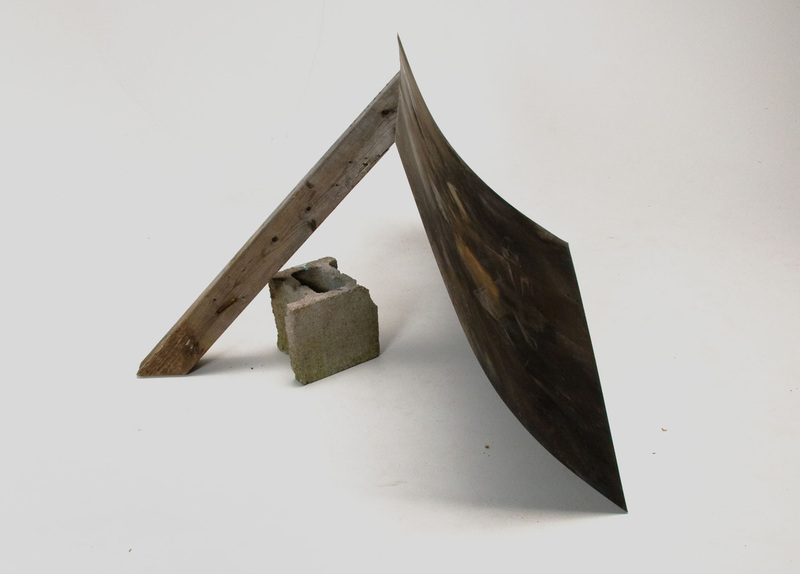 For the installation the homes are placed as if on a street, and each are supported by cinder blocks and weathered wood structures. 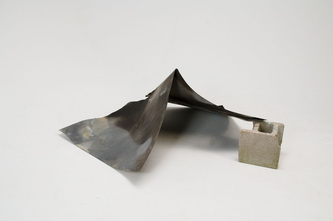 The works display the emptiness of the city with potential hope for return.